Show Report: dCS - Klipsch. 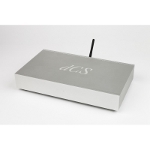 dCS demonstrated the Network Bridge, a device that offers audio streaming both through wired and wireless connections, of local and internet-based resources. It is supported by the same technologies used in dCS' top Vivaldi series and even features a downsampler, so it can be used with older DACs. Well known for their room correction systems, Dirac demonstrated their strength over the field of virtual and augmented reality (VR/AR) applications with an algorithm that allows dynamic control of the HRTF (Head Related Transfer Function). The system showed, was changing its behavior depending on the position of the head relative to the torso, which provides a more accurate acoustic simulation. Dolby announced their collaboration with LG, stating that all their TVs in 2017 will support Dolby Vision (HDR) and Dolby Atmos. 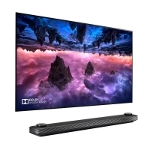 The "all" includes the OLED TV Sets 77/65W7, 77/65G7, 65/55E7, 65/55C7 and 65/55B7 and the top Super UHD models SJ9500, SJ8500 and JS800 as well. Dynaudio presented the new version of the Contour series (which debuted in Munich in 2016 and includes the new tweeter Esotar 2). Here, the top model of the series, Contour 60, a three-way floorstanding design, with two 240mm woofers and a 150mm midrange driver. 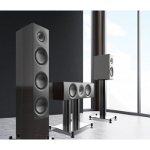 Elac presented a new loudspeaker series. 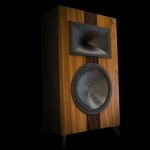 Adante was designed by Andrew Jones (a name well-known from TAD) and includes three models (a floorstanding, a stand-mounted and a center loudspeaker). All have a coaxial mid/high driver and a rather complex low-frequency part that includes an internally mounted, 6-inch, bass reflex loaded woofer and external passive bass radiators driven by it. 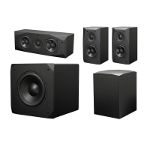 Emotiva is well-known for their reasonable pricing, therefore it was not a surprise when they presented loudspeakers in the economy line BasX. The series will include models for use in as main and center units (BasX LCR), and as surround satellites (BasX Sat), while there are, also, three subwoofers, with 8, 10 and 12-inch drivers (Sub 8, Sub 10 and Sub 12 respectively). 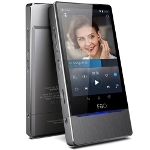 Fiio's top media player of is the X7. 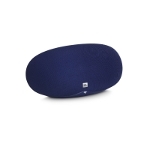 It is an Android based device, featuring ESS' ES9018S DAC chip (not its portable-friendly version, 9018K2M) and it is available with and without the amplifier. Internal memory is 1GB, expandable via microSD, up to 128GB. 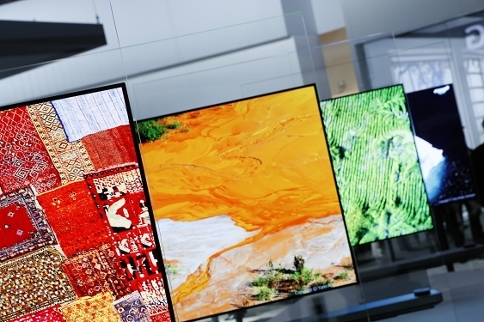 Fraunhofer IIS presented practical applications of the MPEG-H standard, a set of encoding digital audio and video technologies which is extremely flexible in terms of playback devices (from mobile phones to multichannel systems) and media transmission (streaming or broadcasting). 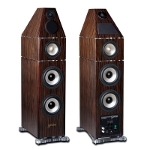 Genesis' new loudspeaker is called the Maestro. It is a five-way design with two ring radiator tweeters (one at the rear), a 4.5-inch titanium cone midrange, two 6.5-inch mid/woofers and four 8-inch woofers in an active configuration featuring a 500W amp. 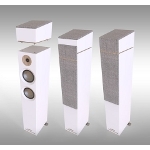 Goldenear presented their new loudspeaker. The Triton Reference uses a ribbon tweeter, a new mid/woofer and includes an active, DSP (56bit) assisted, low-frequency part based on three 6x10-inch woofers loaded by passive radiators. 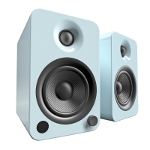 Its sensitivity exceeds 93dB and its range reaches 35kHz. Hegel 's Röst is an integrated amplifier, complete with a DAC and streaming features through both the local home network and via the internet. The amp part delivers 2x75W into 8 Ohm loads and offers three analog (one of them balanced) inputs. 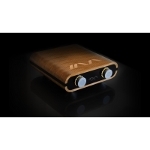 DAC offers 4 digital inputs and a USB port. There is, also a line out to connect a power amplifier. Increcable displayed the TIA-280 tube amplifier. Power stage can be configured either as a triode push-pull (2x40W) or a Pentode/Ultralinear push-pull (2x80W), using four KT120 tubes. The amplifier offers two inputs. 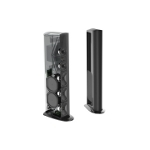 Jamo presented the new Studio 8 loudspeaker series, a radically revamped design which integrates all the elements necessary to be compatible with Dolby Atmos systems without any additional loudspeakers. Java Hi-Fi displayed the LDR passive preamplifier featuring a signal attenuator based on a light-sensitive element. The level is controlled by just altering the brightness of a LED, which in turn affects the attenuator within the device, without interfering at all with the signal path. The device is available in three different versions depending on the number and type of inputs and outputs offered. 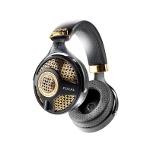 JBL enlisted Quincy Jones to draw attention to their E55T "Quincy Edition" headphones. These wireless headphones are voiced by the famous producer who, also, has lent his voice for the system prompts. The headphones can be operated for about 20 hours when fully charged, but can be used with a wired connection too. … and the Soundgear, an interesting, Bluetooth-based, design to be placed in the user's neck and either used as hands-free with a mobile phone, as a music listening device or in more advanced applications such as virtual reality systems. 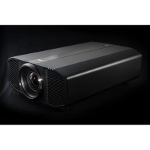 JVC demonstrated the DLR-RS4500 projector, the first 4K (4096x2160) projector certified by THX. 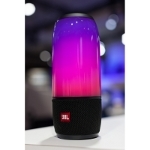 It is based on D-ILA technology and features a BLU-Escent technology light source (a technology JVC has developed) offering 3,000 Lumens, with a lifetime of 20,000 hours. It is compatible with HDR material and its cost is in the $35,000 range. 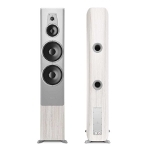 Kanto showed the YU4 and YU6 active compact loudspeakers. They both are two-way designs featuring a soft dome tweeter and 4 and 5.25-inch Kevlar woofers respectively. Power amplifiers are Class D, delivering 140 (YU4) and 200W (YU8). Both models include analog and digital inputs, a built-in phono preamp and support wireless streaming. 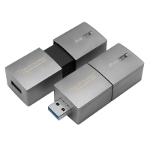 Kingston's DataTraveler Ultimate GT is -at least for the time being, the largest available flash drive, with a capacity of 2TB (there is, also, a 1TB version). This is good news for all you out there with large music and video collections. The drive uses the USB 3.1 protocol. 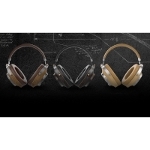 Klipsch announced that their Heritage series now include some headphones. There are three models, the top-of-the-range HP-3, the mid-range HP-2 and the introductory HP-1 which will be released in three versions, as a wired, a wireless and a wireless with active noise suppression model. In the same line of products, Klipsch also presented the Fifteens loudspeakers. 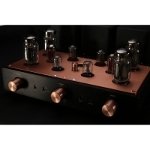 It is an active floorstanding two-way design, with some strong vintage elements featuring an 180W amplifier and a built-in DAC supporting 24/192 streams. The tweeter is horn-loaded and the low-frequency part of the audio spectrum has been assigned to a 15-inch woofer. There is, also, a phono input.